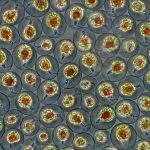 In my previous article, I wrote about microalgae and why it is beneficial to culture it in your home, and I highly recommend you go read that here first if you haven’t! 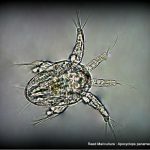 In today’s article, and the next article as well, I will be talking about culturing zooplankton, specifically copepods. Copepods are a subclass of the phylum Arthropoda, and a main food source for corals and fish in the wild. In the aquarium, we can use them for the same purpose, and more! 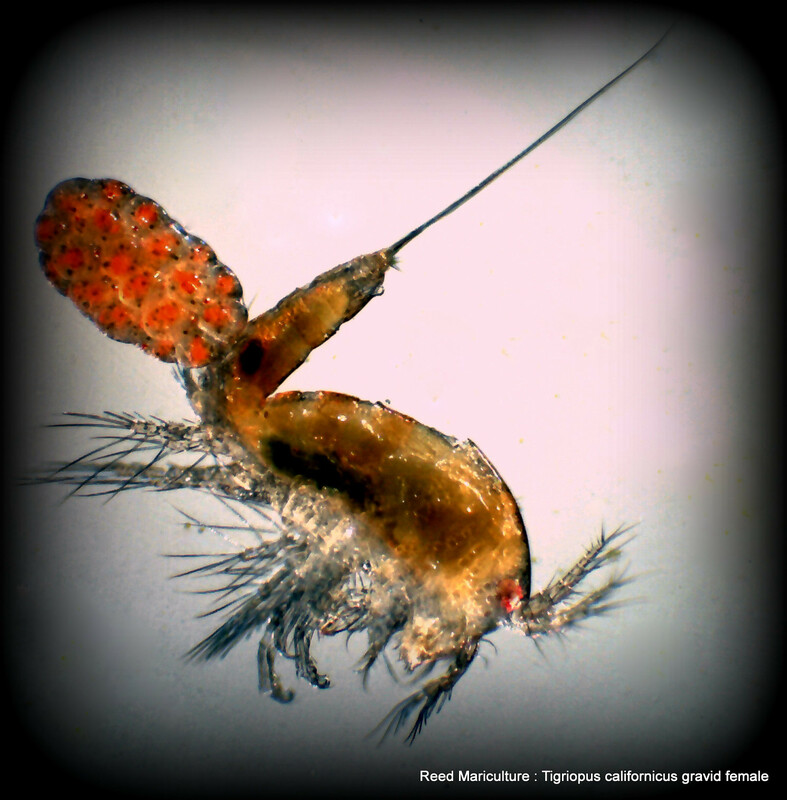 Copepods act like a tiny clean-up crew as well, eating away at the microscopic algae living in your aquarium. But don’t get too excited, you still have to have the larger clean-up crews to deal with the bigger algae growth too! A healthy population of copepods in the reef system means that your tank is running extremely well, and your ecosystem is thriving. A population of copepods can either be brought in through rocks and corals that are put into your aquarium, a term called “hitchhiking,” or by “seeding” the populations yourself by buying bottles of cultured copepods. These bottles can sometimes be found at your local fish store, or you can buy them online from providers like LiveAquaria.com or Algaebarn.com. Harpacticoids are an order of copepods; they are benthic, meaning they tend to hang out by the sand or in the rocks. In the reef aquarium, harpacticoids tend to be larger than most copepods, with sizes reaching roughly 1 to 1.5mm in length. 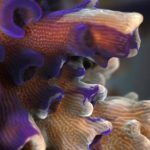 The most readily available harpacticoids are Tigriopus californicus and Tisbe biniminsis, both of which can be an excellent food source for your corals and even some picky eaters too! I used Tigriopus when I got three leopard wrasses in, and they ate them while I weaned the fish onto frozen foods. Keeping harpacticoids is not very hard, as they actually thrive from detritus and neglect! 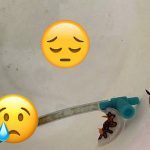 They do best when they have a large surface area, so if you are planning on going through them fast, I found it best to keep them in a ten-gallon aquarium. Within this ten-gallon aquarium, I would set up egg-crate inside it. Egg-crates are styrene lighting panels that can be found at Home Depot or Walmart, and I cut them up to make “floors” in the tank. By the end of it, the aquarium looked like a two-story frag-rack without any corals! This was the setup I used, as I was very limited on space. An add-onto this setup that your copepods will love is covering the egg-crate with another material for the harpacticoids to cling to, such as patio screening. For feeding, I add drops of RG Complete, a product from Reed Mariculture, until the aquarium has a light shade of green to it. If you are growing your own algae, you should also add enough until there is a light tint. You will need airline tubing so the copepods can breathe and there is some gentle flow in the culture. I recommend attaching an air stone to the end of the airline tubing with an air pump for culturing in a ten-gallon aquarium. The good thing I found when growing harpacticoids is that they do not really require much care. Just keep food available, enough surface area for them to rest on, and not very many water changes (once a month maybe), and they do quite well. Another option for you, if you do not have enough space to keep a 10-gallon aquarium full of tiny red critters, is to keep them in a plastic container. My father grew Tisbe and Tigriopus copepods in a Better Home and Gardens 18.6 Cup container from Walmart, with egg crate lining the inside and creating a few levels too. If you choose this route, do not use the air stone, instead, just have airline tubing with a light flow of two to three bubbles per second. Now, how will you capture the adult copepods to feed to your reef tank? You need a screen of roughly 100 microns, which I purchased from Amazon. You then just take a cup from your culture, pour it over the screen and into a bucket below, and the screen will capture the adults while letting the babies pass right through! Then just backwash the adults into another container, and feed them to your tank. Be sure to wait at least a week between collections though, as your culture will need some time to repopulate the adults! Congratulations! 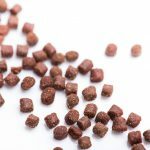 You can now successfully grow harpacticoids, and with them, help keep those hard to feed fish like wrasses, and feed your corals! For my next article I will talk about cyclopoids, what they are, and what you can do with them! That is a very nice shot of a Tiger pod. Amazing! !